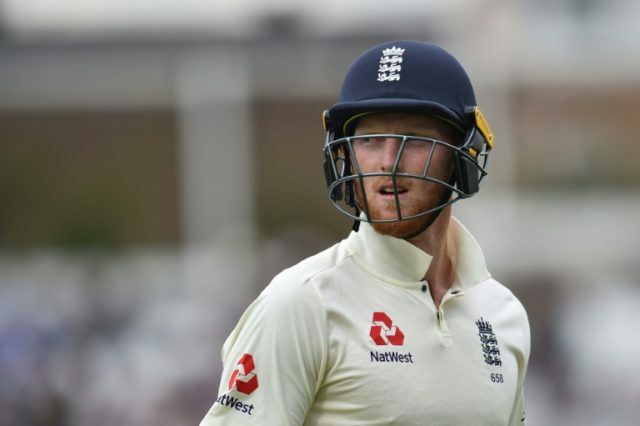 London (AFP) – Ben Stokes will not be considered for England international matches “until further notice” after a video emerged apparently showing him fighting outside a nightclub, the England and Wales Cricket Board said Thursday. Opening batsman Alex Hales, who was with Stokes late on Sunday after playing alongside him during England’s win over West Indies in the third one-day international in Bristol, has also been suspended from international selection. Neither Hales, who returned voluntarily to Bristol on Tuesday to give further evidence to police about the incident, nor Stokes were selected for Wednesday’s six-run win over West Indies in the fourth one-day international at The Oval in London that gave England an unbeatable 3-0 series lead. England have one more international fixture — the fifth ODI against West Indies in Southampton on Friday — before the end of their home season. Their next international match will be when they start their Ashes defence with the first Test against Australia in Brisbane commencing on November 23, although they do have three warm-up tour games prior to that fixture. Hales was not included in the Ashes squad.